Had a little bit of time this evening, thought I would stat up a beastie for Simian Saturday (it's not quite after midnight here yet). This one is based off of a cool critter I saw on Face Off a couple of weeks ago. I'm loosely following the Monster Stat Block from Fantastic Heroes & Witchery, but it should work with most any OSR game, and with some tweaking will work with 5E. General: Fearsome beasts found along cold coastal mountain ranges. Yeti Crabs are at home both along cold sea-side cliffs as well as hunting seal amongst ice flows. Legends say these beasts were once more neutral in aspect but after years of being hunted for their shells (useful in making armor that is light-weight and not affected by immersion in salt water) they turned evil and chaotic. Whether there is any truth to this is unclear. What is known is that Northern Sea Raiders avoid taking their vessels too close to the cliffs said to be the lairs of these beasts. Many a raider has described the horrors of a Yeti Crab ambush. Several drop down on deck from the cliffs above, while others climb up over the sides of the ship, wrecking havoc and death. Combat: Yeti Crabs attack with their crab-like pincers. If both pincers hit on the same round the victim takes an additional 1d6 of cold damage as the Yeti Crab is able to channel some of the intense cold of its body into the victim. 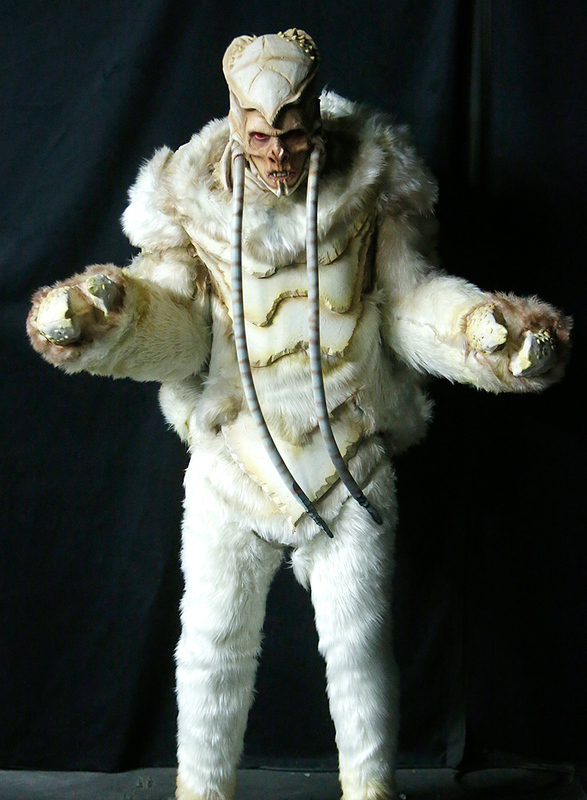 Appearance: Yeti Crab's are large humanoids with white fur and a white carapace, their arms end in pincers, and they have two antennae-like feelers that give them blindsight in a 30' range. It has been well over a month since I posted. Sorry about that, real life (work, graduate school, etc.) has taken a huge bite out of my leisure time. I'm hoping to get some gaming in over the holiday season, but many of my gaming buddies have moved away or are similarly busy. I've still been reading over my D&D 5E books, but there is another retro-clone that has been out for a bit that I've had my eyes on. That book is Fantastic Heroes & Witchery. I had some credit at Amazon so I figured what the heck and ordered it. It came in the mail a couple of days ago, so I haven't had a lot of time to really read it over (it is over 400 pages!! ), but let me just say this book is packed with some cool stuff. 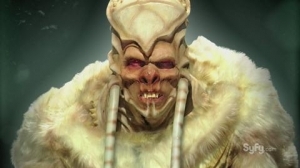 Of particular interest to me are the Weird Races and Classes, there is even a primate race! The author has even made a free pdf version available. You can't beat that! 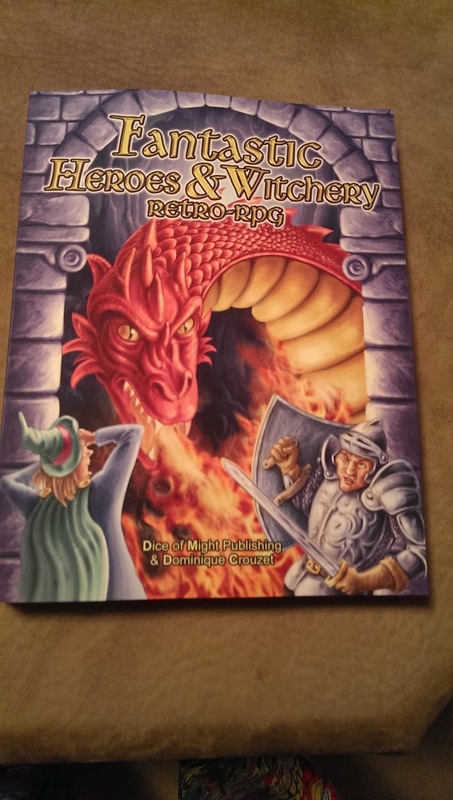 I know the blogosphere is full of folks talking about 5e, but I gotta say Fantastic Heroes & Witchery has some really cool elements to it that are worth checking out.